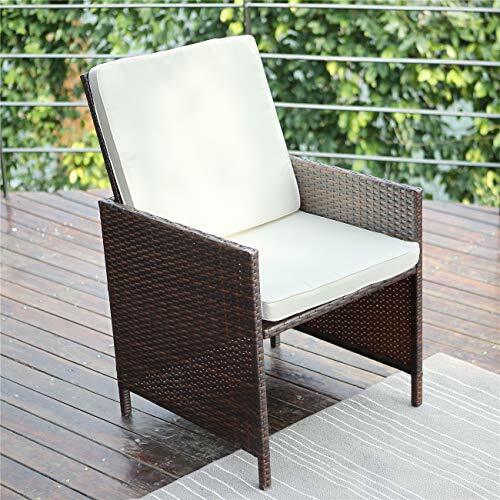 The Wisteria lane 5 PCS wicker furniture bar set is constructed from high-quality materials. A beautiful landscape in your patio and a comfortable place to enjoy your leisure time. Wisteria lane is proud to present this brand new 5 piece wicker dining table and chair set. 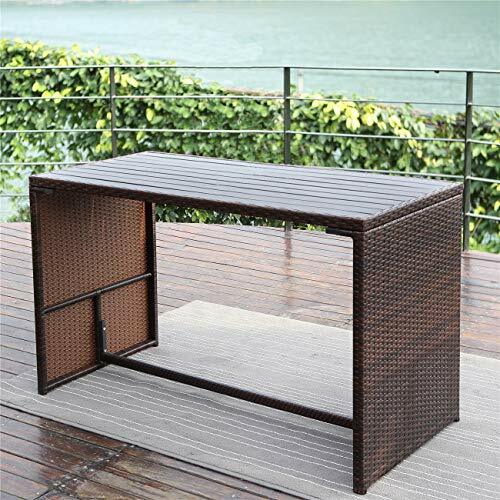 It's an attractive and handsome furniture sets which in a excellent price. 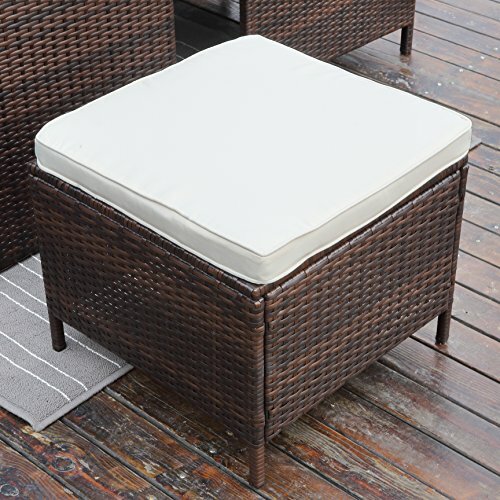 Zippered cushions filled with thick sponge for optimal comfort and relaxation.All weather hand woven PE rattan can withstand moderate changeable weather (To prolong service life, Extra protection will needed for some extreme weather conditions) Now, please enjoy a calm and soothing night or a cool sunny day on your new conversation set. Chair: 22.4" x 22.4" x 35"
Table: 49.22" x 22.6" x 30.1"
Stool: 18.9" x 18.9" x 14.6"